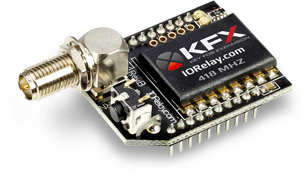 The KFX communications module adds key fob capabilities to the board. The KFX module is powered from the board. 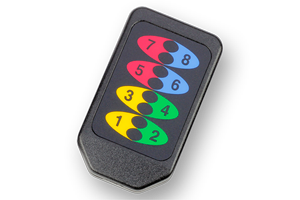 The absolute maximum rated range of the MS series Key Fobs is 750 feet. 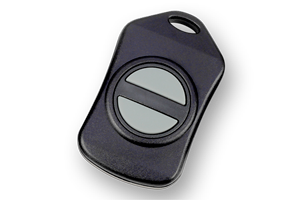 The MS 8-Button Key Fob with an external antenna is rated at 1,000 feet (maximum). Key Fob range can depend on many factors. The maximum ratings are achieved in an outdoor environment with clear line-of-sight and minimal radio interference (in the country). The ranges provided are in absolute best possible conditions for radio communications. This module replaces any ProXR or ProXR Lite board's module even if you have a different module installed. 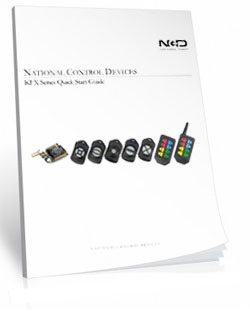 The KFX communications module adds key fob capabilities to the board. The KFX module is powered from the board. 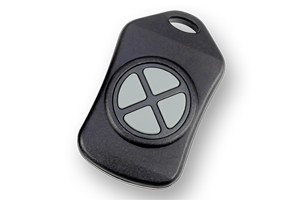 The absolute maximum rated range of the MS series Key Fobs is 750 feet (228 meters). 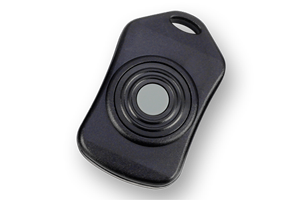 The MS 8-Button Key Fob with an external antenna is rated at 1,000 feet (304 meters). Key Fob range can depend on many factors. 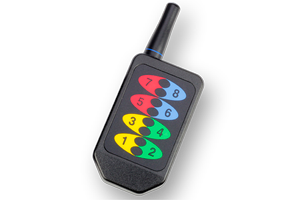 The maximum ratings are achieved in an outdoor environment with clear line-of-sight and minimal radio interference (in the country). The ranges provided are in absolute best possible conditions for radio communications. The Configuration Kit (ZigMo) plugs into the UPS port on your PC and will mount as a COM port. 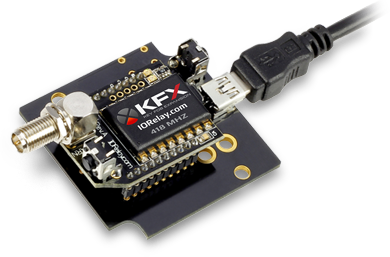 The KFX Key Fob module will pull off the board and can be installed in the ZigMo for configuration. Using Base Station Software (a free download) you will be able to configure the commands that are transmitted for each key fob button press and release.